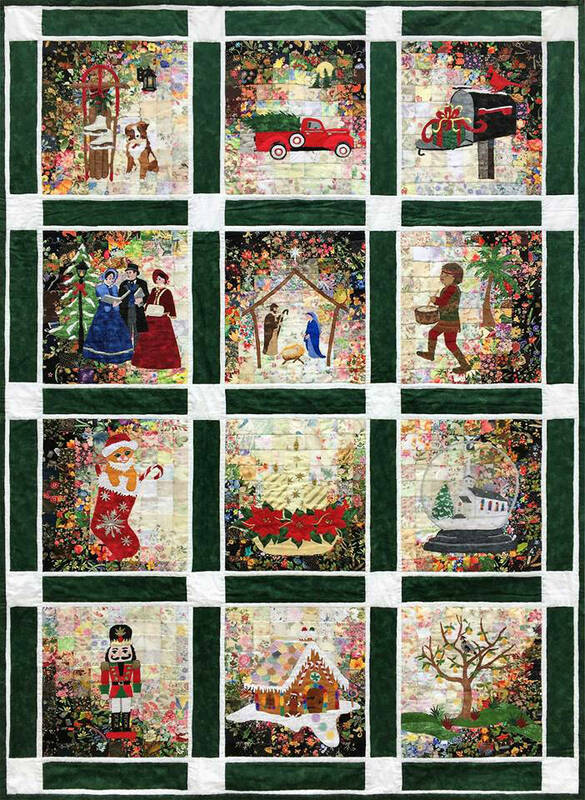 Whims Rachel's Christmas Cards quilt, designed by Mim Schlabach, captures a set of 12 (13 1/2" x 15" without borders) Christmas card traditions preserved in time, using the art of fabric. 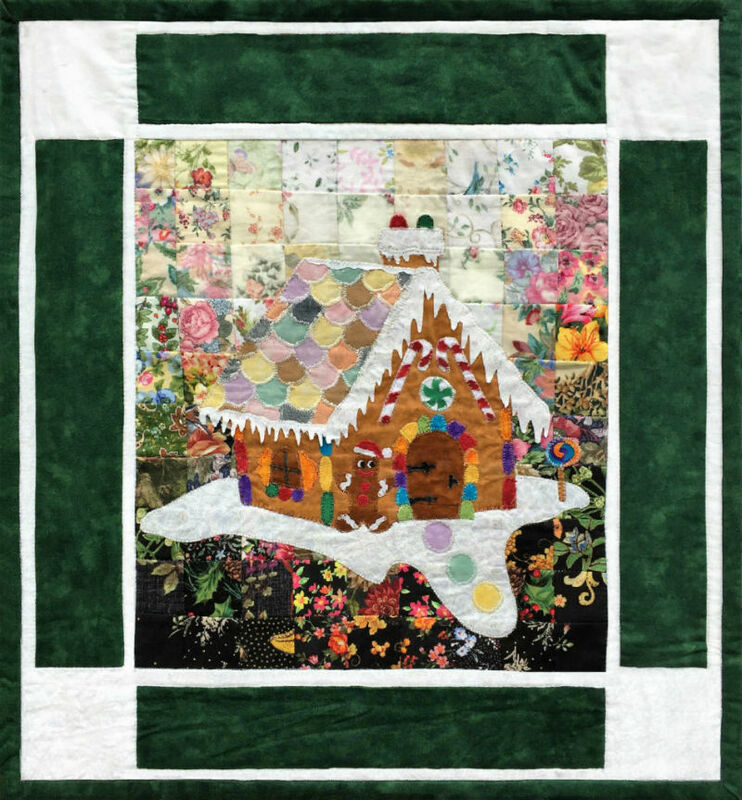 Piece the 12 blocks together to create a stunning masterpiece, or as individual block quilts that are perfect for gift giving or holiday home decorating! 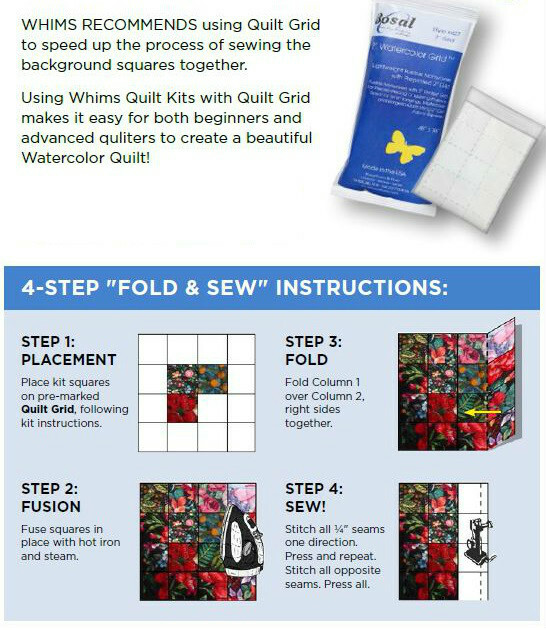 Don’t miss this heartwarming and fun quilt made easy with a Whim’s 12 Block Kit! (border, sashing, backing and binding fabrics are not included). Block #12 And A Partridge In A Pear Tree! 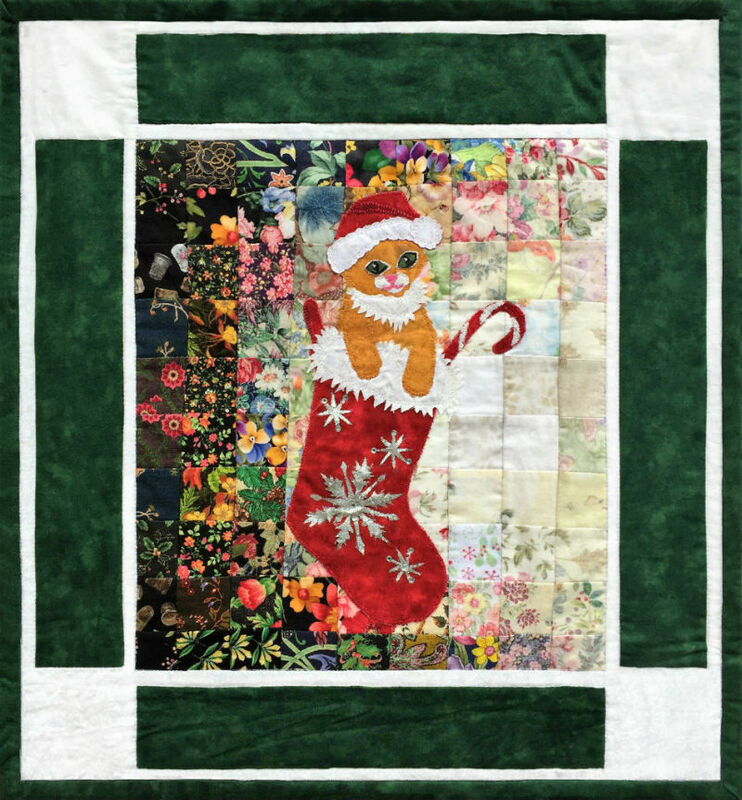 Each block includes die-cut 2" fabric squares for the background, complete instructions, a color photo, as well as the appliqué patterns and fabrics needed to complete the Watercolor project (border, sashing, backing and binding fabrics are not included). Consider choosing two or three or more blocks to make into a matching grouping of wall hangings, door runner, pillows, or table runner, or whatever creative combinations you may have.